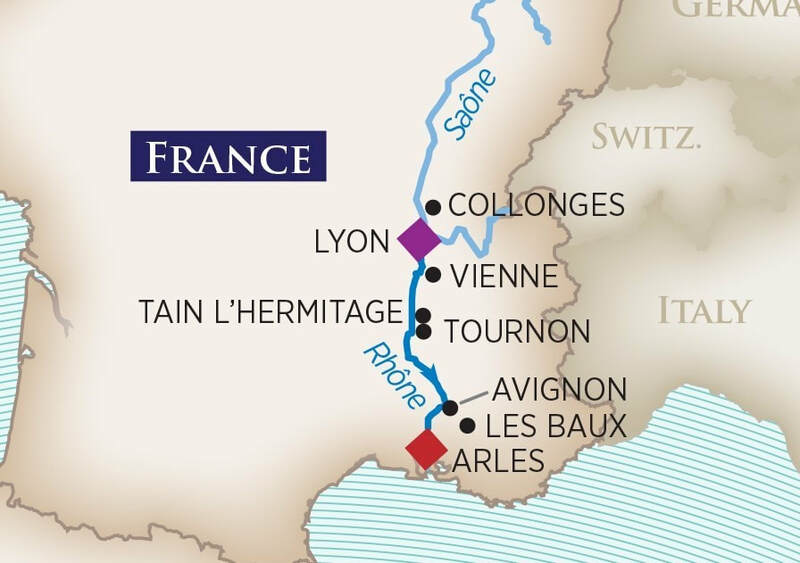 Join us for a fabulous cruise through Provence on the beautiful Rhone River. From romantic cities to foodie havens and artistic epicenters, this itinerary enlivens all your senses. Starting from Lyon, France’s culinary capital, savor the beauty of legendary vineyards and imbibe in local vintages from Bourgogne, Beaujolais and Côtes du Rhône. Enjoy hunting for truffles, refining your Provençal cooking skills, and learning how to pair chocolate with wine. Trace the steps of famous artists in Arles and Avignon and be inspired! Add on visits to Paris and Barcelona for an extended vacation.